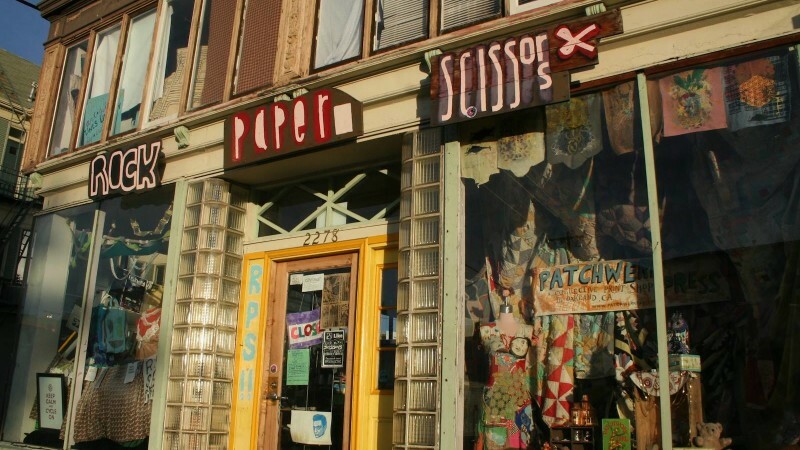 The Rock Papers Scissors Collective (RPSC), a volunteer-run communal artist space in Oakland, announced this week that it is losing its lease on the Telegraph Ave. storefront it has called home for the past 11 years. The group must relocate by Aug. 31. The collective, which hosts gallery shows and other events, as well as workshops and other resources for local artists of all ages, is the last remnant from the original group of founders of the Oakland Art Murmur and First Friday events remaining in uptown Oakland. Both the Murmur and the monthly First Fridays have been credited with revitalizing the city's cultural arts scene. In a statement released July 10 and signed by the RSPC, it's revealed that the buildings longtime landlord wants to charge market value for the space, which the collective, a non-profit, cannot afford. "Eleven years ago we could afford market value for the space, but thanks to our success in building a vibrant community in downtown, market rate is now far out of reach," said the statement. The forced relocation has been on the horizon for the RSPC since February, when it started an IndieGoGo campaign to raise $25,000 for operating costs. Sadly, after a month, the campaign managed to raise just under $10,000. This story will be updated when new details are learned.